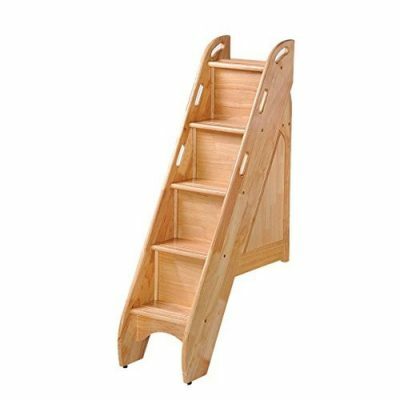 Our Maxtrix Low Rider Loft Bed is available in twin or full sizes and with a choice of a Straight ladder or Angled Ladder with Handrail. 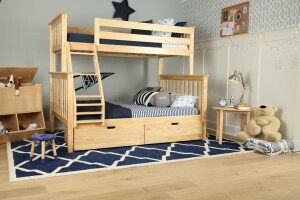 The Maxtrix Low Rider Loft Bed is constructed of solid hardwood and is available in your choice of 3 beautiful child-safe finishes. 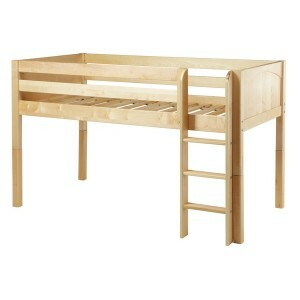 The spacious area below the bed is a perfect place for dressers and bookshelves or it makes a great play area. Unlike other loft beds, Our Low Loft Bed can later be converted to a conventional twin or full bed by removing the legs, ladder & guardrails. 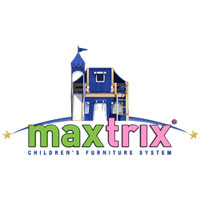 See below for an endless array of additional Maxtrix accessories and decor items to help create the room of your child’s dreams!